Sharn Wordley Takes Home Blue in the $25,000 HITS Grand Prix! See You in January HITS Ocala! 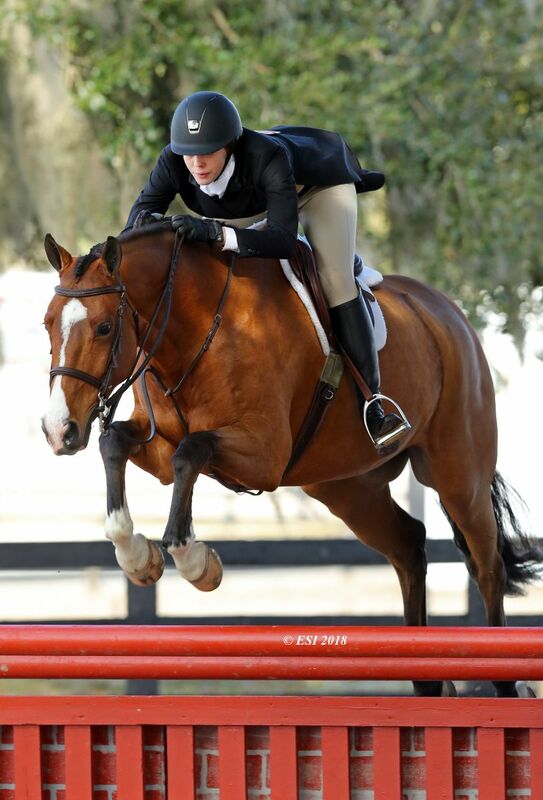 Riders have jumped "hoof" first into the 38th Edition of the HITS Ocala Winter Circuit with two weeks of show jumping competition at the Ocala Holiday Series. Riders were eager to compete for the blue ribbon in the featured classes at the second week of the series, the Ocala Holiday Festival. Check out some of the highlights from last week below! For the second week in a row, Aaron Vale and EYE CATCHER, pictured to the right, would take home top honors in the $2,500 Johnson Horse Transportation Welcome. Vale would cross the timers in 40.157. Jared Peterson would add to his success from last week with a blue ribbon finish aboard CANTANO 29 in the $25,000 SmartPak Grand Prix, crossing the timers in 36.664. Taking home the blue ribbon in the $2,500 Marshall & Sterling Child/Adult High Jumper Classic was Kimberly Leslie for her ride aboard TAILWIND. Alexandra Millar and VAMPYR VAN DE RIB would win the blue ribbon in the $5,000 Jr/A-O/Am 1.30m Jumper Classic for the second week in a row. Hayley Waters would once again take top honors in the $7,500 U-Dump Jr/A-O/Am 1.40m Jumper Classic, this week for her ride aboard CLEAVELAND. Sharn Wordley would jump to a first place finish in the $25,000 HITS Grand Prix aboard GATSBY, soaring through the timers in 38.968. The qualifying period for the HITS Championship, held annually in Saugerties, New York, is underway and riders sought to earn points early on in the season. Junior and Amateur riders brought their A-game, but none could beat Madison Berger and her ride aboard GLADSTONE in the $1,500 Platinum Performance Hunter Prix. Berger received a score of 70 in the first round, accompanied by a 75 in the second round for a two round total of 145. Taking home top honors in the $2,500 Devoucoux Hunter Prix, which is the qualifier for the Diamond mills Hunter Prix Finals, was Shachine Belle and VIOUTY DE LA ROQUE with scores of 70 and 86, respectively, for an overall score of 156. 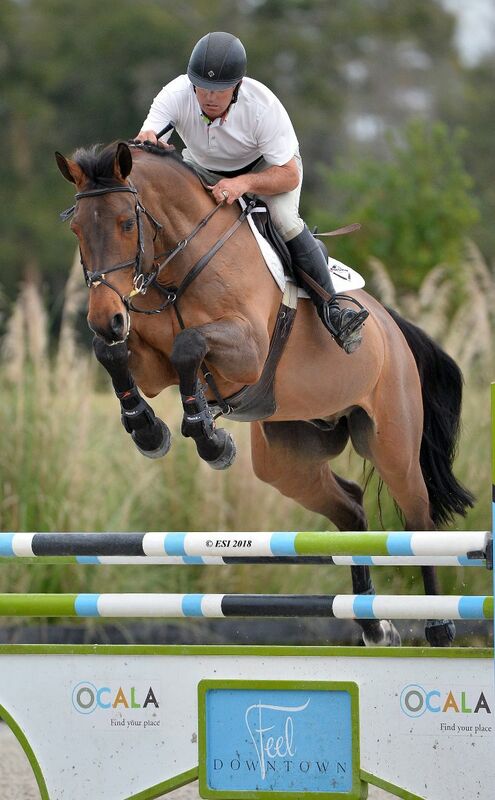 HITS Ocala is excited to return for the 38th consecutive year. 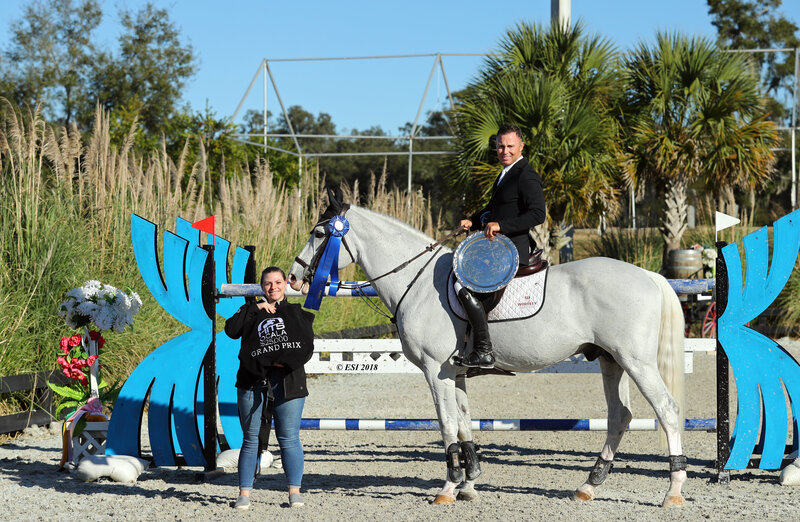 Riders can look forward to more Horse Shows in the Sun at the HITS Ocala Winter Circuit, returning in 2019 for 10 Weeks of top notch show jumping competition on the east coast. Be sure to check out the Prize List, available now, for details on all that HITS Ocala has to offer. Don't miss out on the excitement? Enter today!